Someone on another blog thought that the boots below ruined the overall look. I disagree. 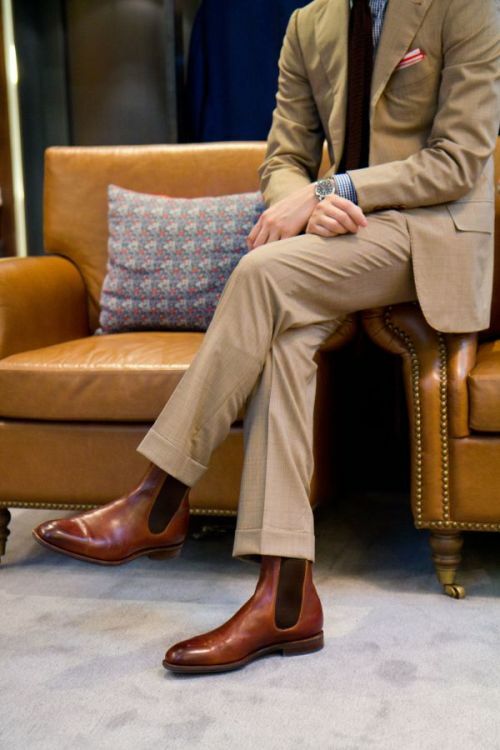 I happen to be a big fan of the chelsea boot coupled with a suit and for some reason I think it is a very Aussie look, maybe because of the predominance of RM Williams chelsea boots.